Here we are with the weekly Noku recap: did you know about the Academy? Here’s what happened last week within the walls of Noku headquarter. Our Dev Team is getting stronger and stronger! We are bringing in a new talented team member. 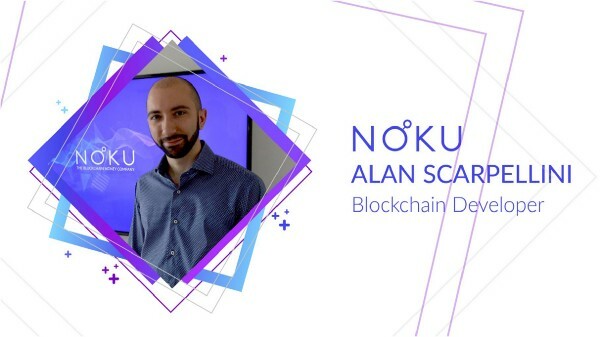 Say hello to Alan Scarpellini: Blockchain Developer. Welcome on Board Alan! On Friday, we closed the whitelisting campaign: congratulations to all those who have whitelisted their Noku account. You will be able to create your own Custom token for only 1 Noku. Our team will be contacting you to let know you how you can access the service. Only 10 days to go to Noku First Meetup @ Spazio Copernico — Milan. Our speakers can’t wait to meet you, so reserve your seat and… see you there!